Graduating dentists professional and adapt in the fields of dentistry science and technology and able to utilize the traditional medicine. Becoming a dentistry student at IIK will give you a generous amount of valuable insight and experience. 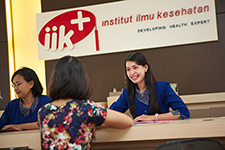 The facilities provided at IIK is one of the many ways used to sharpen students’ ability tcarry out the dental profession.